Marketing and advertising can be tricky when it comes to RESPA. 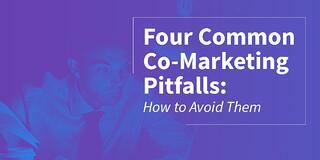 But that doesn’t mean you have to walk away from partnerships altogether. It’s just important to be aware of the guidelines. “You don’t have to avoid settlement service providers entirely to comply with RESPA,” wrote Amy Swinderman, a staff writer with Inman. Much of real estate and mortgage depends on how you get your name out there. “You can give or receive ‘things of value’ in the course of doing business – you just can’t do it with the expectation of business referrals, and you can’t defray another provider’s expenses if they are in a position to refer business to you," Swinderman wrote. If you're trying to get your name out there, doing so might take different forms. It could be just a business card, or it could be a bag of pens, notepads and company merchandise. Giving your company T-shirt away is fine, the pens too. But, you should know where the line is. We give a general guide to RESPA in our first article published earlier. We talk about what goes and what doesn't from a high level. When you look for a business partner, it's okay to hand out company material. But, if you give away T-shirts for business referrals, you cross the line. You can't offset costs either. The fair marketing value aspect is notable. Transparency and fairness are big with RESPA. A quick Google search tells you that fair market value is a price that buyers and sellers agree on. You want to watch what you're charging. As with almost everything else, keep it in writing. The paper trail is often a necessity. And, seek out third-party professionals who have expertise with what you’re trying to set a fair price for. For example, say you and your partner want to display a billboard over the highway. Find a professional in the billboard business. Keep in mind that part of staying compliant with RESPA is keeping records of your co-marketing activity. When you finish your billboard project, you and your partner divide up payments. You must do that on a pro rata basis to stay compliant - meaning each party must pay for the marketing space they occupy, and only that space. One co-marketing party can not pay for the other party's share. RESPA branches throughout the real estate and mortgage industries. It grows and weaves itself into the workings of brokerages and mortgage companies. Wells Fargo abandoned marketing service agreements (MSAs) last summer because of the "uncertainty." The company wrote in a press release that part of the decision was to continue making the lending process easier. It was in the best interest of everybody, Wells Fargo said. MSAs are hard to pin down. The Consumer Financial Protection Bureau (CFPB) looks at them with suspicion case by case. “Any agreement that entails exchanging a thing of value for referrals of settlement service business likely violates federal law, regardless of whether a marketing services agreement is part of the transaction,” the CFPB said in a 2015 press release. Some companies stay away from MSAs. Maybe it's skepticism, maybe it's just uncertainty. Industry regulations affect the way agents and lenders do business with consumers and each other. It's important to stay compliant and have a strong understanding of the specifics. But, you shouldn't feel the need to work alone. There are ways to stay compliant with TILA-RESPA and further your business by partnering with your agent or lender of choice - and that is through the practice of compliant marketing partnerships. By having a technology solution that allows you to track all marketing and co-marketing activity from one central location is imperative to staying in compliance. Keeping records available at your finger tips for audit control documentation is important when such practices have become under greater scrutiny in the past year. You can find more information by visiting the CFPB's website or contacting an attorney who specializes in real estate.